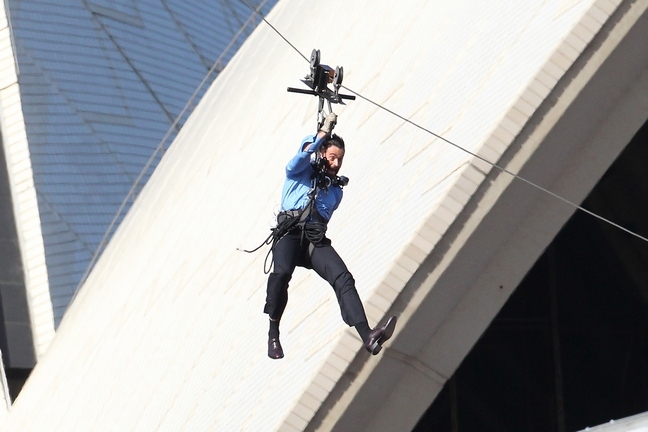 Hugh Jackman was injured during a flying stunt on Oprah's show in Australia yesterday. 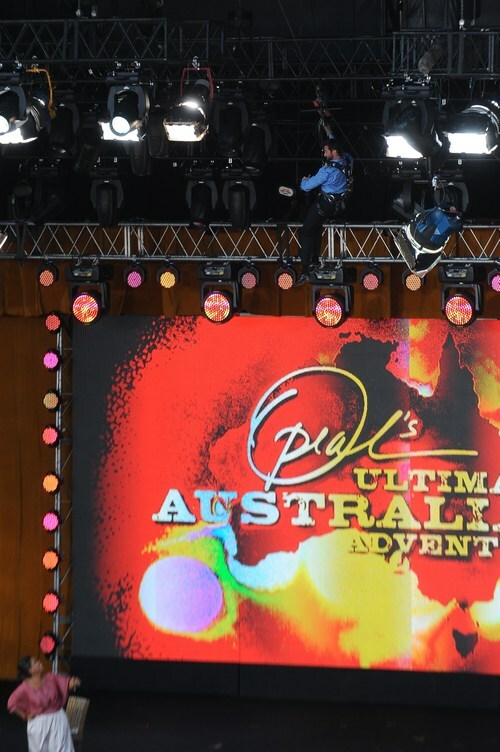 Hugh was set to "drop in" on Oprah's Australian audience in a big way when he performed a stunt that sent him zipping from the Sydney Opera House down to the stage. Things went awry when the brakes on the "flying fox" mechanism failed, causing Hugh to crash into a lighting rig above the stage, according to the photo agency. The only injury reported so far was a cut to his eye, which the paramedics treated on the scene. 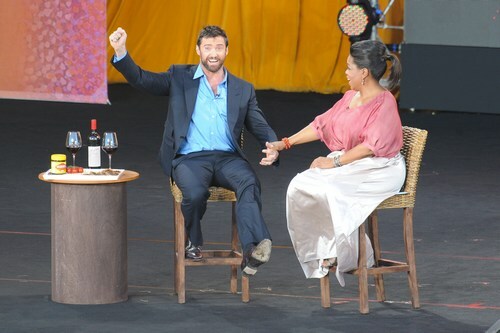 Ever the trooper, Hugh made his way down to the stage to have a glass of wine and chit chat with Oprah. Thank goodness it was only a cut! That could have ended so much worse.